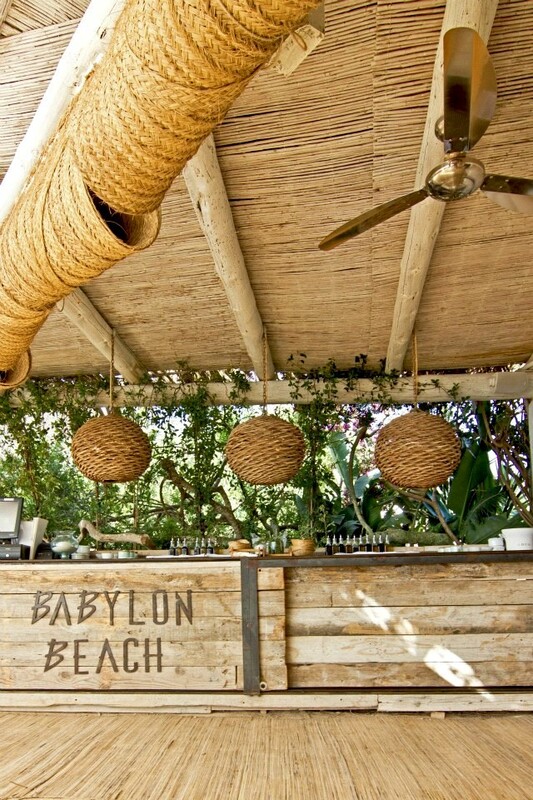 Babylon Beach, one of Ibiza’s latest beach bar and restaurants where everything is chilled, smooth and easy. 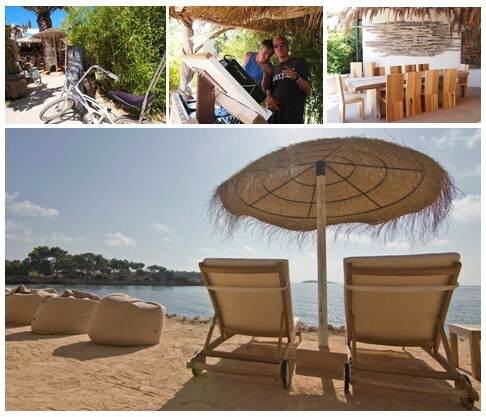 Relax on the sun loungers or puffs perched on the cliffs by the sea or enjoy the organic food served in the restaurant listening to the laid back tunes played by resident DJ George Solar. 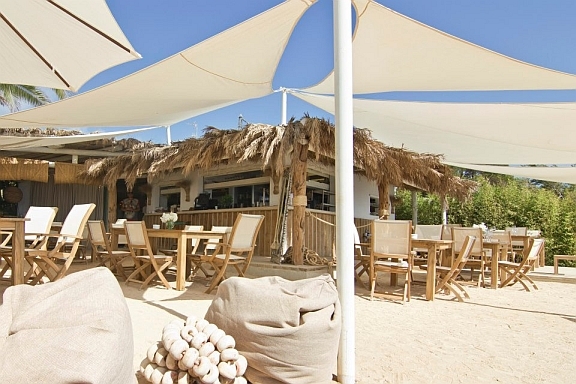 Located just outside St.Eulalia towards Es Canar, Babylon Beach is for you if you want to be away from the Ibiza crowds, enjoying some of Ibiza’s chilled moments. 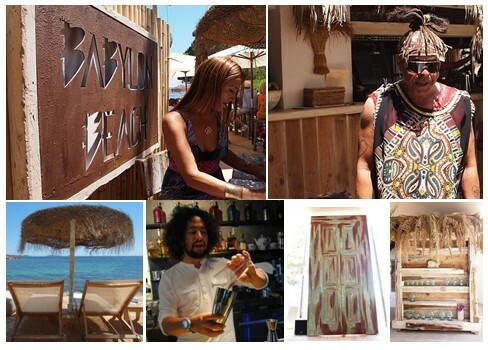 Vaughan brings his vibes to Beach Babylon from Pacha’s funky room; Babylon Beach owner, Angie provides the overall design and access to Ibiza’s first certified ecological farm, Casa Pere Musson, and Justin runs the operation with Jack and Mark place seamlessly. 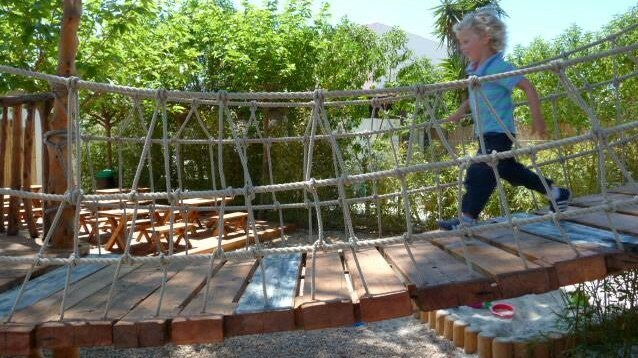 This is your home away from home - there is a gorgeous children’s eco park with swings, sand pit, zip wire, climbing wall, rope walks and tables all made of natural wood to keep the kids entertained. Drive along the road from St.Eulalia towards Cala Nova. Turn right as soon as you spot the Beach Babylon sign shortly after you leave Santa Eulalia and there is easy free parking outside the entrance. The farm, Casa Pere Musson run by Angie Anderson is dedicated to animal welfare and provides a clean and healthy life for all the animals in its care. It works closely with the University of Cordoba on a unique breeding program designed to regenerate endangered breeds native to the Balearic Islands. 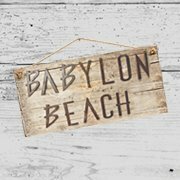 Its pristine farm kitchen and vegetable garden provides a tranquil and inspiring environment for Babylon’s chefs to create, invent and test their dishes. This is possibly why the lamb served here is probably the most succulent lamb we have ever tasted.